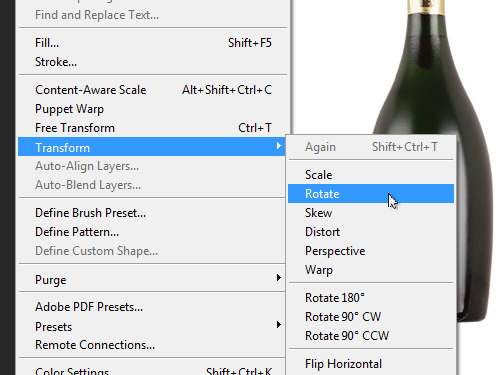 In this video tutorial we will show you how to rotate Photoshop layer. Launch the Adobe Photoshop. Go to the “File” menu and choose “New” to create a new document. In the appeared window set the document settings and press “OK”. Go to the “File” menu and choose “Open”. In the appeared window select the image you want to edit and press “Open”. Move the opened image into the new document. Then go to the “Edit” menu and select “Transform” from the drop-down menu. Choose the “Rotate” option from the submenu. Grab the image by the top right corner and rotate it. 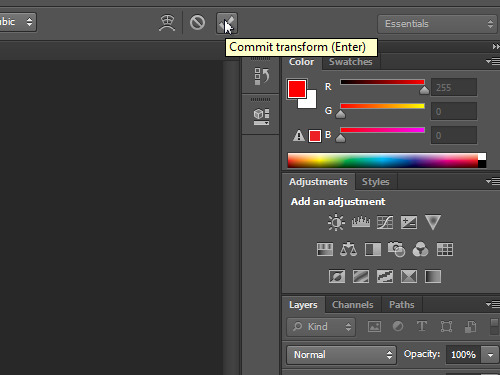 Then click on the “tick” icon inside the Transform attributes panel to confirm the transformation.